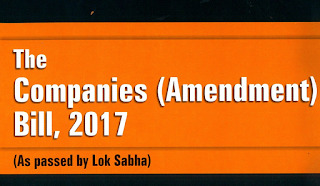 Companies (Amendment) Bill, 2017: The Parliament has passed the Companies (Amendment) Bill, 2017 with the Rajya Sabha adopting it 20th December 2018. 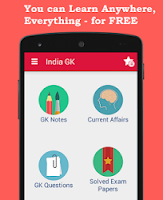 The Lok Sabha had cleared the bill earlier in the monsoon session. The bill intends to strengthen corporate governance standards, initiate strict action against defaulting companies and help improve ease of doing business. 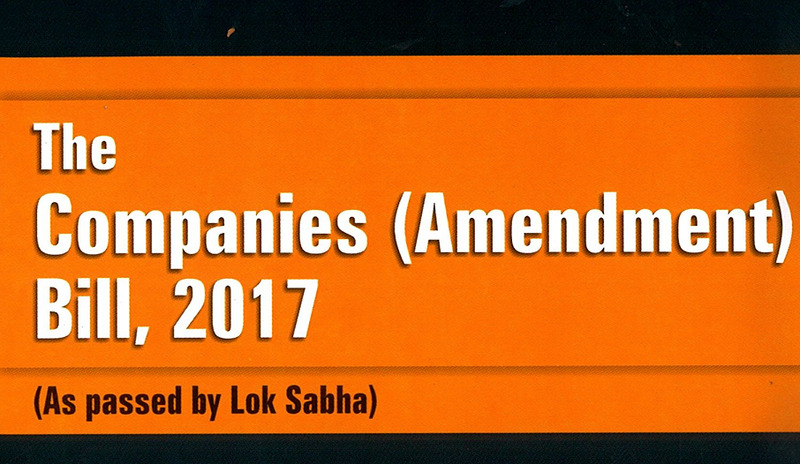 It provides for more than 40 amendments to the Companies Act, 2013, which was passed during the previous UPA regime. Group company structure and compliance procedures: The bill has changed definitions relating to ‘holding company’, ‘subsidiary company’, ‘associate company’. It will have impact on group company structure and compliance procedures. Compliance procedures and approval mechanism: It enhances scope of compliance procedures and approval mechanism of Related Party Transaction of related parties. Shares on private placement basis: It amends this provision in parent Act. It will have impact on both – private companies and public companies. Maintenance of Register of significant beneficial owners in a company: The bill adds this new provision. Besides, changes provisions relating to board meetings and shareholders’ meetings, based on operational and compliance issues faced by the corporates. Corporate Social Responsibility (CSR): The amendment to CSR provisions are particularly related to its applicability and constitution of CSR. It takes into account the interpretational and operational issues. Resident Director and Independent Director: It provides for clarity in applicability and role of Resident Director and Independent Director. Further it elaborated ‘Pecuniary relationship’ in relation to independent directors. Loans to Directors: The bill substitutes entire section relating to ‘Loans to Directors’ under the Companies Act, 2013. It introduces certain checks and balances by way of approval process and for enabling ‘loans to directors’, in certain cases. Managerial Remuneration: It liberalises provision related to Managerial Remuneration. It replaces requirement of Central Government approval by requirement of approval of shareholders, secured creditors and non-convertible debenture holders, as the case maybe. Auditors Report: It mandates requirement that Statutory Auditor of company to report in its Auditors Report on compliance of provisions of managerial remuneration and whether remuneration paid to any director is in excess of prescribed limits.